Now that you’ve ditched the water-cooler gossip and your office cubicle for the freelance life, you may be feeling pretty great compared to your colleagues with their noses to the grind at their 9–5 job. What could be better than working in your PJs, taking your “lunch break” early for that 10am yoga class, or being your own boss? However, after flying solo for a bit, some nostalgia for the camaraderie of an office environment might creep in; but, don’t start sending in those job applications for a new position just yet. Enter the co-working space: your solution to structure your freelance lifestyle and supplement it with a sense of community. Read on for a guide to coworking spaces and how to use them to establish your ideal work-life balance. When making the decision to ditch your home office and invest your hard-earned freelance income in a coworking space membership, your first step is to evaluate what is necessary for you to complete your work most efficiently. Most of all, a coworking space is a place to work, so take a moment to sign out of your email, close out of your Google calendar, and let your mind reflect: Are you a creature of habit and routine? Can you work in loud, open spaces? Will you smash your coffee cup in outrage if someone interrupts your focus? As traditional co-working spaces are membership-based, these questions will help you to evaluate what amenities to prioritize for your budget. If you prefer a permanent workspace, you will likely have to pay a higher fee than if you are content to use your laptop in the coworking common area. 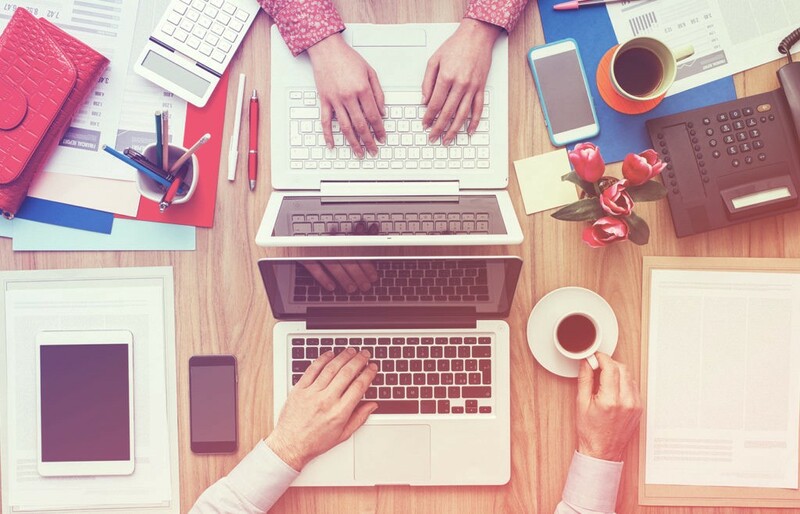 Coworking spaces automatically offer wifi, but other services like printing, mailing and package handling, booking conference rooms, or using desktop computers often come with a cost. Doing a bit of self-research before getting dazzled by all the swanky office environments and perks in the coworking landscape will help you to maximize what you will get for your membership fee and ensure that you have everything you need to make the most of working in your new coworking home. While some coworking companies accomplish this with common spaces that resemble your living room (and dream home office bar), others test new theories of office design with open floor plans in whitewashed warehouses. Most of all, the environments of coworking spaces are meant to encourage just that, coworking. In the current age of constant innovation and interdisciplinary collaboration, look for a space that both satisfies your requirements for efficient productivity and inspires you to look beyond your laptop at the new business partner or friend who might just inspire your next big idea. Perhaps you’ve been feeling lonely from a lack of happy hours, tacky-themed office Christmas parties, or getting awkwardly signed birthday cards from even the colleagues in your department that you don’t know. Freelancing can be isolating, but coworking spaces offer an opportunity to craft a new sense of community. Before locking yourself into a membership, look up the general profile or vibe of the space to get a sense of the industries and attitudes of your new officemates. Evaluate whether you are searching for a community of like-minded thinkers, or diversity that will challenge you to think outside of your box. Next, decide if you want a coworking space that will provide you with opportunities to connect with others through events, online networking platforms, or more formal discussions and speakers. However, don’t let the fear of awkward, forced office socialization overwhelm you. According to Harvard Business Review, “while [their] research found that some people interact with fellow coworkers much less than others, they still felt a strong sense of identity with the community. 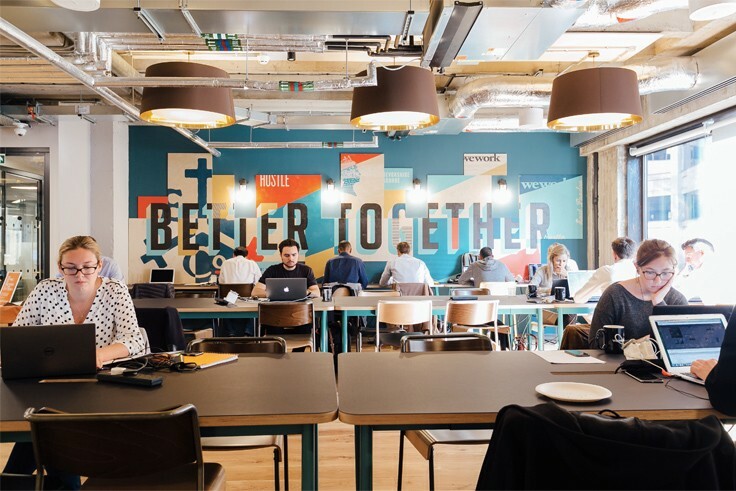 [They] believe this comes from coworkers knowing there is the potential for interactions when they desire or need them.” Seek out a coworking community that provides both your optimal workspace and opportunities for new connections. Freelancing can be isolating, but coworking spaces offer an opportunity to craft a new sense of community. Then, it’s time to look at the bigger picture: how global do you want your coworking community to be? Just like the decision to work for a big, multinational company or a small, boutique firm, your choice of coworking company can offer the same benefits and drawbacks of each. Some of the most reputable spaces have a network that crosses borders and continents, making your membership as adaptable as you are. Not only will you feel at home in your workspace abroad, but also you will be connected with the global extension of your coworking community that will welcome you when in an unfamiliar place abroad. On the other hand, choosing a local coworking space that is specific to your home city will provide you with a tight-knit sense of community that will deepen your relations with other freelances in your local area. Before you finish your research, be sure to check out some of the alternative coworking experiences for freelancers that combine work and travel, without the hassle of planning and logistics. For example, Remote Year and We Roam are two companies that organize multi-week journeys that bring together a unique group of freelancers to work as they immerse in different cultures in exotic locations. Although this may sound like the making of a more disciplined reality TV series, for a considerable fee, these companies provide the itinerary and the resources to frame what is likely to be an unforgettable experience. If your wanderlust is what drove you to freelance work in the first place, these alternative coworking experiences might just be the perfect fit for the true digital nomad lifestyle you crave. Freelancing or being an entrepreneur does not have to be and should not be a lonely endeavor. Instead, coworking spaces offer the opportunity to be your own boss within a community of other self-starting, motivating people who understand what it means to hustle and create. Start your research to find your new office home and then reinvent your freelancing routine to take advantage of all your coworking membership has to offer. You already took the big leap by quitting the conventional and now that you’ve hit your stride as a freelancer, it’s time to dedicate some resources to your new professional lifestyle. Don’t worry about ditching your best barista friend. Instead, you’ll enjoy that cappuccino much more when you leave your laptop at home, after a productive day in your new coworking space.